A very popular Free Application used by most people in the office is Evernote. 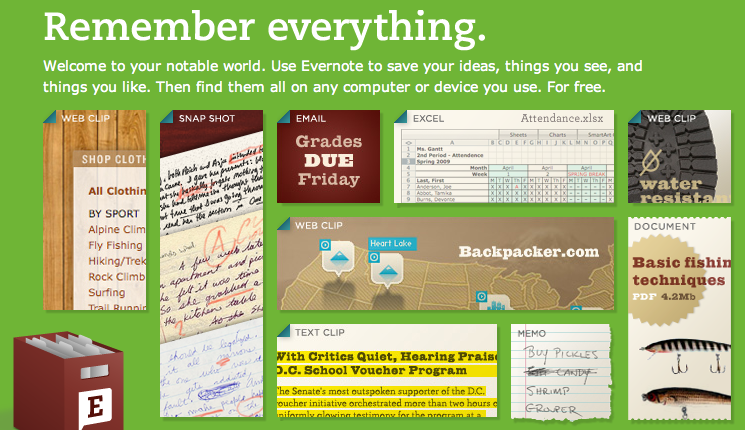 The developers of Evernote offer their application, FREE for the PC, Mac, iPhone, Palm and via a Web site. They also offer a service that allows you to since files between the many different computers you have Evernote installed on. The Free online sync has a very usable amount of space, but for serious uses they offer more storage room for a few dollars a year. 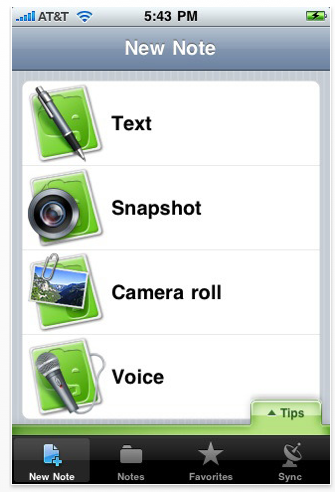 The applications allow the user to create text and organize texts files. As well, Audio and Picture files. If there is text in the image, when you move the picture to the Web page storage, the service can translate those words to real text. Most often, this program is used for taking meeting notes since it is quick to get going and then easy to organize. Syncing those notes off to user’s iPhone/iPod Touch or Palm devices to use later. Search on any of the installs is a great feature to find specifics quickly. On the Evernote’s Blog site, there was great news! Evernote is going to support the Apple iPad. We’re glad to see that the current Evernote iPhone app will run on the iPad without modification, but we’ll be modifying it anyway to optimize the experience on the larger device. Oh how we’ll be modifying it! Expect rapid improvements to our iPhone app which will benefit all of our iPhone, iPod Touch and, now, iPad users in the near future. We can’t wait to use Evernote on the big screen of iPad.